Day 767 – New Year 2015! Day 567 – No Voting this Time! 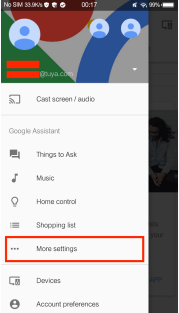 How much you can send on Google Pay? This is an exclusive deal for Discover IT or Discover IT Student card holders, and ebates members. If you aren’t either one, let me walk you through what to do! There are a couple of reason you want to signup for this card. First, there is an exclusive 10% cashback with PayPal if you pay with your Discover IT credit card. Ends April 30st 2019! Second, if you sign up as a NEW card holder, you actually DOUBLE that! So you’d get 20% cashback! 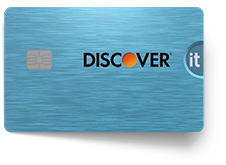 Because the 1st year as a cardholder, Discover will Cashback Match all your cashback after the first year. YOU WANT TO SIGNUP FOR EBATES! They have cashback on almost every store online. Including Walmart. I bought a bike for $98 and got $8 cashback. That’s 5%! 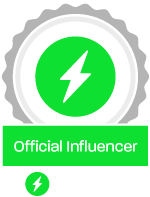 Use my button below and YOU actually get $10 after your first purchase within 90 days of signing up. After you signup with ebates, you want to either install the Chrome extension, or download their android/iphone app called “ebates” to shop on mobile. Let me say this.. I stood IN walmart, used the walmart app to scan items I wanted into my walmart account shopping cart. Then I went to the ebates app, selected Walmart from the search, logged into my walmart account and went to cart to see all the items I put in there. It’s about 6PM at this point. I go to checkout and select “Site to Store” and then selected PayPal and used my Discover IT card so I’d get the 10% cashback too. I completed my purchase, and went to the rep at the site to store. I asked if I could help complete and pickup the order I just placed. He checked his handheld device and saw the order. We went and got the items I scanned! Within 20 minutes I had scanned items through the Walmart app, then used Ebates app to make the purchase so I’d get more cashback, then used the PayPal option with my Discover IT card to get 10% cashback, and picked up my order and walked out of Walmart with my items 🙂 That is how you wheel and deal! 2 days later I got my ebates notification for the walmart shopping trip!! And next credit card statement I’ll get my 10% cashback from Discover. As I reflect on the faces I’ve seen, the places I’ve been, and the people I’ve known personally, I can say that people are people and you can’t trust first impressions. They wear a mask. Or better yet, they change to match who they are around, a Chameleon. The same way you’re gonna put on “your best” when you meet a new individual, or you’re visiting the boy/girlfriends family the first time, you try to impress them and make your best impression right? I’ve found often, moreso like 80% of the time, you’re not meeting the real person behind the scenes. And this can lead impression is something you use to try and judge if this will be a good or bad connection/influence on your life. I’m not the first to experience this and perhaps you’ve been tripped/tricked before yourself by a misleading impression. Don’t get discouraged though! There are genuine people who are still the same even behind closed doors or behind your back. There are people who are their true colors from the first time you meet them, behind your back, or years down the road they treat you the same. These, my dear reader, are the kinds of friends you want to have your back. You’ll learn how to purchase the new 2019 Galaxy S10 or S10+ for an end out-of-pocket price of $600; Let’s get into it! Here are 5 ways you could trim your costs on the purchase this month with Samsung! 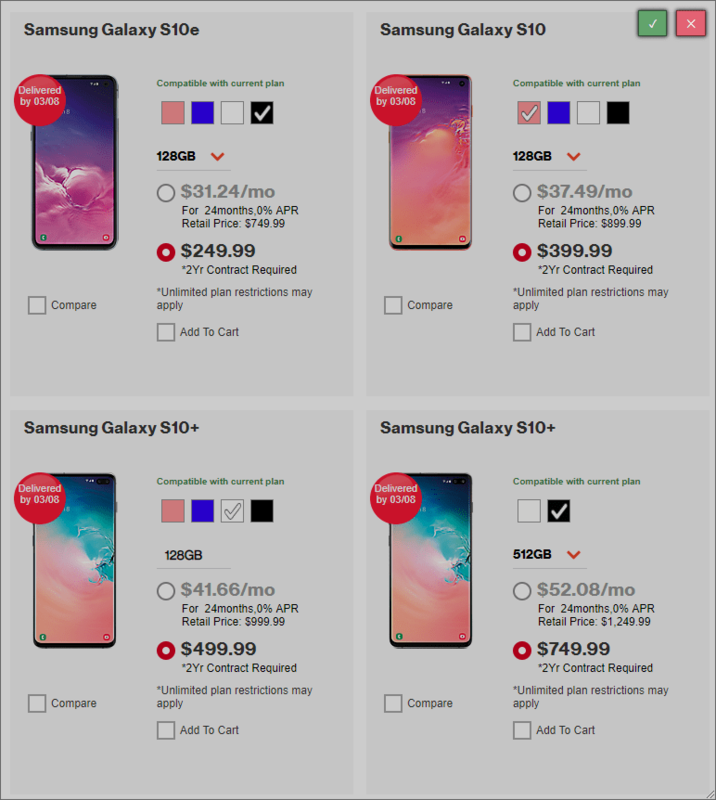 Samsung has a trade-in program that is giving a pretty high price to older devices to convert you over to the new S10. This make it very appealing. I haven’t used their program before, but I have read criticism on the internet about it. My device, the Galaxy S8, doesn’t have any issues with it so I will assume the program will work fine for me. If you trade in a phone that Samsung gives you $550, you’d push the savings at the bottom way over $600 savings! If you are a college student, or have an .edu email address, you SHOULD take advantage of the Samsung Education program. It essentially gives you the Taxes of your purchase back. 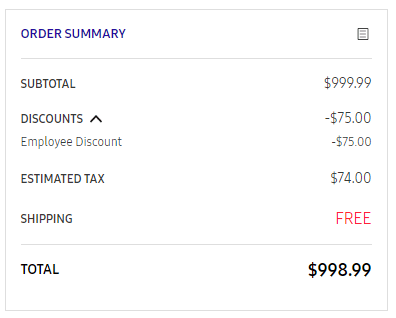 Basically 0% from my experience because of the “Employee discount” on the checkout page. It comes to 7.5% discount. Here are credit cards you get a huge bonus when you make a large purchase(s) within the first 3 months. So if you plan to buy the Galaxy s10 or s10+ or even the 5G model later, you can get cash back on your card! 🙂 Plus you get the cashback % that credit card will give you. Normally this will be 1% unless they offer more. I used this technique to save over $500 on my Matebook X Pro laptop purchase. This is an old way of doing it, but it is possible to really score good, but it requires special situation. You must be on a business plan, or grandfather plan that allows for Contracts. They usually give you a decent discount, such as this example. Note 9 retails for $12499.99 for the 512GB model. You’re seeing a $500 discount. The catch is you have to pay that inside your monthly bill for 2 years. Total possible savings = $567 or higher if you trade in a phone with $550 value!! 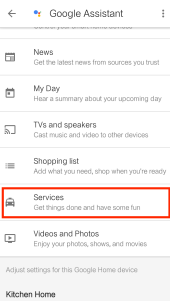 There are limits on how much you can send with Google Pay. Florida residents: Up to $3,000 USD every 24 hours. Transactions over $2,500: The recipient will need to add a bank account to claim the money. Note: Google Pay transactions are covered by Google Pay Fraud Protection, even when you send money to a phone number or non-Gmail address. Transactions are also watched 24/7 for fraudulent or unauthorized activity. So I’ve been mining Verge on my computer because I really think that the value of Verge (XVG) is gonna explode above $0.40 in the very near future. 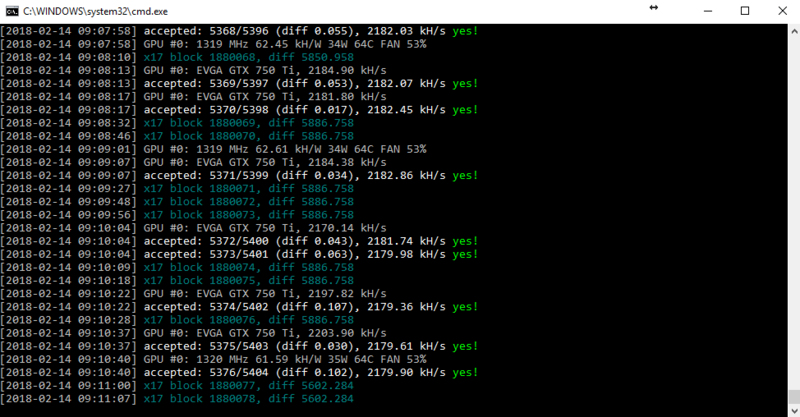 I’ve been using my Nvidia 750 Ti in my Windows 10 64bit computer with the ccminer-x64 program to mine verge. It’s super simple to get started! Seriously. Simple replace D9GQt1WwMcAjfhqAfE5D26s63jHcyZmdP3 with your Verge wallet address in the command in the file Start YiiMP.bat; This could be an electrum wallet, real qt-wallet, or even an exchange wallet such as Binance. They accept Verge and let you exchange it for Bitcoin (BTC) or Ethereum (ETH). I prefer exchanging it for ETH because ETH has a much lower transaction fee to send to a wallet, plus it confirms way faster than BTC currently. Note: If your anti-virus goes crazy, it’s because most all anti-virus software hates any miner program, period. Not because it’s actually harming your computer, just because it’s mining cryptocurrency at all. Considering that’s the #1 use for miners is malware, this is understandable reaction from anti-virus software. However, do not fear! You can edit the .bat file to check yourself if anything fishing is going on. I assure you, there isn’t. But check for yourself if you want to just be on the safe side. 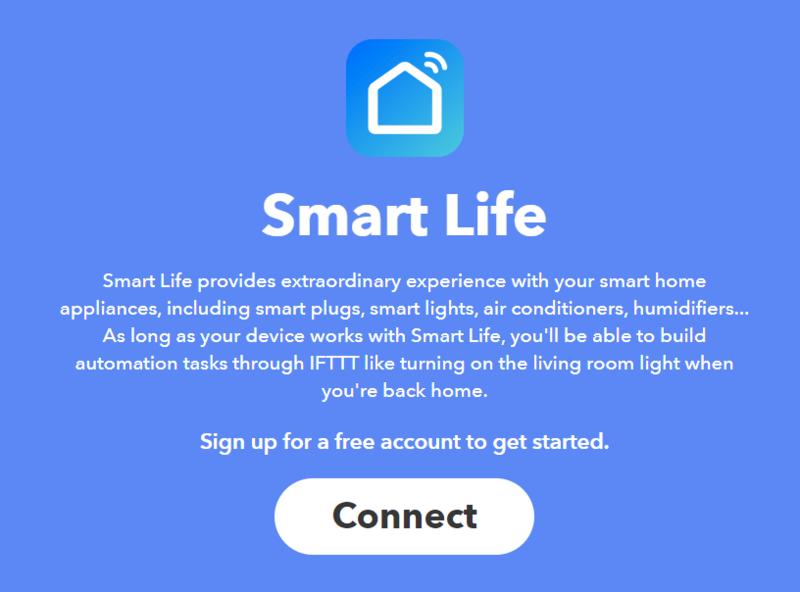 Consider connecting your smart life account to IFTTT (If this, then that) so you can automate with many 3rd party services. The services (far as I know) are free to use without limitation. You could have the lamp turn blue if it’s gonna rain today, or have it change to green if snow is expected. This is the power of smart devices in the home! Here are examples of products on Amazon that does support Smart life, I’m sure you’ll see what’s in common between them. 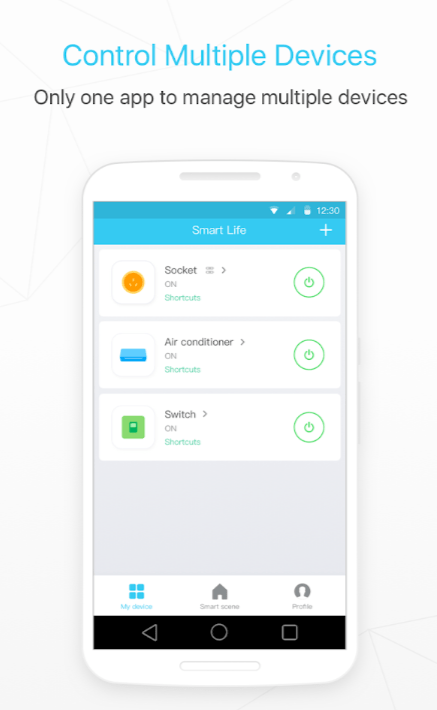 Connect and setup all of your Amazon smart outlets or smart light bulbs through the Smart life app. 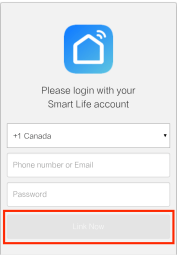 There is a high chance that if you bought it from Amazon, it works with the Smart life app. No joke. 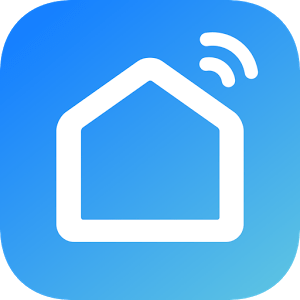 The big give away is if it supports Alexa, Google, and IFTTT. That instantly confirms it should work with Smart life. 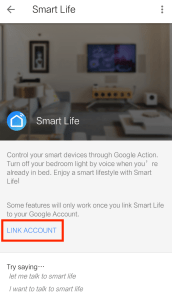 Go to your Google Home app, then Home control from the sidebar, then add an account, select Smart Life, login with your account from Step #2, Click Authorize, set the Room for each device, and you’re done! You’ve connected the devices! Now do Amazon Alexa next! 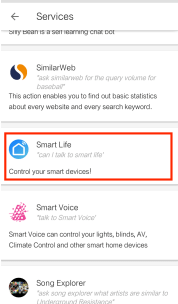 You’ve now not only combined all the devices to a single app (Smart Life) instead of using many different apps, you also connected them all to Google Now, and you can proceed to do the same with Amazon Alexa. How I bought a CHEAP Keurig Coffee Maker for Half Price! Hey guys! Today, I’m going to show you how I purchased my CHEAP Keurig coffee maker for half price (~$50). They average about $90-$120 on Amazon at the writing of this article. If you look over at Walmart’s website you’ll see their best price is $89 + sales taxes. Why would I want a Keurig Brewer? Keurig Green Mountain is the creator and company of the Keurig brand series brewers. They specialize in allowing a large range of single-cup brewing varieties, including hot and cold coffees, teas, cocoas, dairy-based beverages, lemonades, cider, and fruit-based drinks known as K-Pods. I have yet to find a better solution on how to get an excellent condition, cheap keurig machine on the internet than the one I’m showing below. You go to the Product page, then below the short description near the Product image, click the “See other”. On this page you’ll find other sellers, both new & used ones, that are for sell. Normally you’ll find the Amazon Warehouse deals at the top of this page if there are any available. Look over the amazon warehouse deals for the best condition one at a price you’re willing to pay. Also be sure to read what day Amazon expects it to “Arrives between” so you know how long you’ll be waiting. After that you’ll want to checkout and purchase it! 3Congratulations! You ordered a pre-owned Keurig at an amazing lower price! I purchased mine at under half price of the retail value which is WAY CHEAPER and there was absolutely nothing wrong it with! Came with original papers, box, everything! Just be sure to double check the item description you plan to buy! Setting up BunnyCDN with your WordPress site is simple. It only takes a couple of minutes and can be done in 4 simple steps. Next, we will install the WP Rocket plugin. This will enable your WordPress site to use the BunnyCDN. Purchase WP Rocket from their Official website (https://wp-rocket.me) and receive the zip file with the plugin inside. To install it, simply go to Plugins->Add New, Click the “upload plugin” button at the top, and click on Install Now. After the installation is finished, click on the “Activate plugin” button. While still in the CDN tab, scroll down to the configuration section and enter the hostname you have created in step 1 into the “Replace site’s hostname with” field like shown on the screenshot. Click on Save Changes and you’re done. Your WordPress site is now using BunnyCDN and should load much faster for users around the world. I was able to purchase with preorder the Samsung Galaxy S8 through Verizon Wireless. They expedited my order to get it 2 days (04/19/2017) before release (04/21/2017) before it hits store shelves. What is funny is Verizon shipped it to Fedex last Saturday (04/15/2017) but requested it to be delivered the 19th instead of standard time. Funny really! Anyways, let’s jump into my first impressions of the phone for this Galaxy S8 review. Let’s open the box of the 2017 phone of the year! Update! Learn how to save on the Galaxy S10; getting it near free or save $600! When I watched the Samsung “Unpacked 2017” live event announcement of the Galaxy S8, I was not impressed. Compared to their previous S7 and S5 events, this one lacked luster to me. After watching 30 minutes into the event, I quickly noticed Samsung wasn’t noting anything worthy like Camera quality upgrade, Battery improvement, Front facing speakers, Qualcomm 4.0 quick charge, nothing along those lines. It was a huge turn off to be frank. Then after I hear they removed the fingerprint reader from the front and placed it to the right backside of the phone, my hopes were practically shot down. So why did I purchase the Galaxy S8 depict the flaws I instantly saw in the phone? The pre-order rewards / goodies were enough to sway me (alone with the other benefits of having the Galaxy S8. I was able to sell my Galaxy S7 for around $300, purchase the S8 for $269.99 with tax on 2 year contract with Verizon Wireless, and early terminate that contract for $175. I plan to buy the ultimate $99 samsung experience reward. So let me quickly break that down… Hope you’ll benefit from this with the Galaxy S8 review 🙂 Warning: Verizon contracts are only for B2B accounts and existing grandfathered-in customer accounts. If you are on the Edge, Unlimited, or New Verizon plans, this transaction won’t work for you! Sorry 🙁 But you can still trade in your Galaxy S7 for $300 and get the S8 for $15/mo if you have the VZN Unlimited plan. 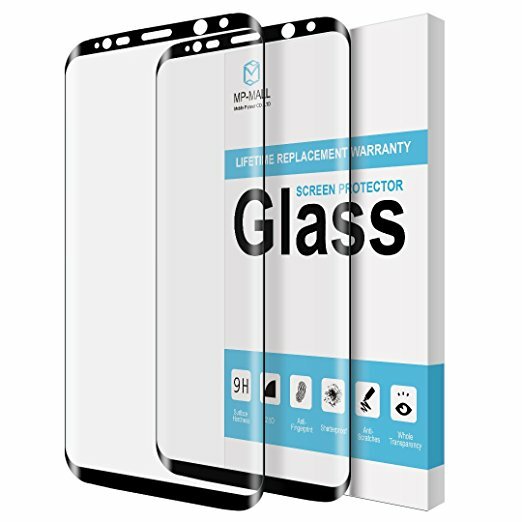 I bought 1 phone case, and 1 tempered glass screen protector for my Galaxy S8.. Here are the Amazon links! Perhaps Samsung will introduce this later on? We can only hope so! I honestly didn’t have that bad of an issue with the fingerprint reader. I like to hold the phone in my left hand, and my finger naturally just falls on it. Now I do prefer the face unlock because of speed, but for purchases and sensitive data I will use the fingerprint lock. But Samsung honestly could have done the Galaxy S8 justice by putting the fingerprint reader in the middle of the back like the Google Pixel and other LG phones already do. 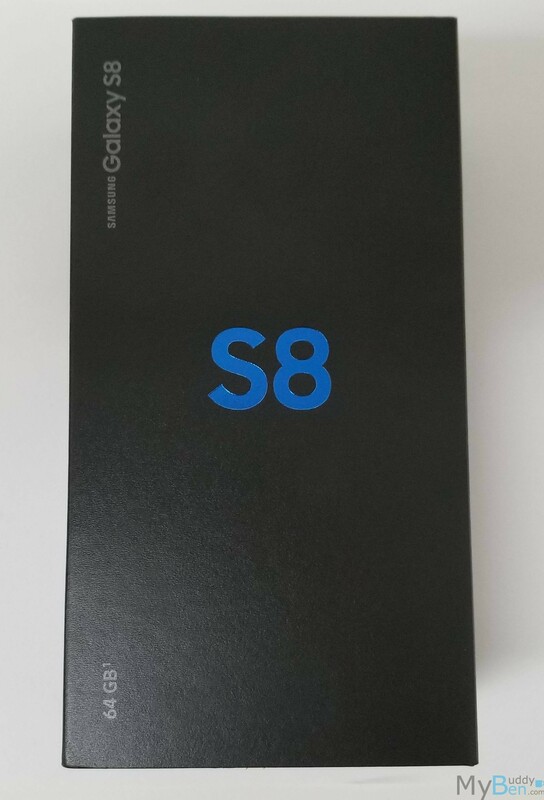 6Should I upgrade from the S7 to the S8? If so, then no, don’t upgrade just yet. 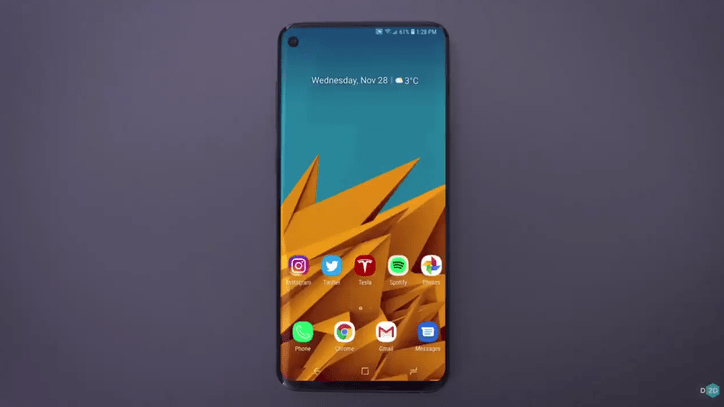 Wait until Note 8 or Galaxy S9 next year. But if you’re needing an upgrade, and want the latest phone which a wonderful camera, bigger and pretty display, Iris scanner, Samsung Bixby, and Samsung support? Then really consider the S8 if you can afford it. It’s a really good phone, but it’s not a milestone improvement from the Galaxy S7. Here are some great videos of trustworthy YouTubers who have already reviewed the Galaxy S8 or S8+ and they share their thoughts about it. Totally check them out! MKBHD – Samsung Galaxy S8 Review: The Ultimate Smartphone? In this guide, I’ll show you how to backup your server with Hashbackup and send it to B2 Backblaze cloud storage. We all hate the idea of losing your server files, or we’ve all experience the dreaded server RAID hard drive crash.. Well this is a foolproof way to prevent the headache that comes with a server crash. Once you set this up on your server, you’ll have ease of mind from any worry that a complete snapshot of your linux server is saved off-site to a cheap but reliable cloud host. It will be encrypted and compressed before being uploaded. This will backup all files from your root of server, and even MYSQL databases. 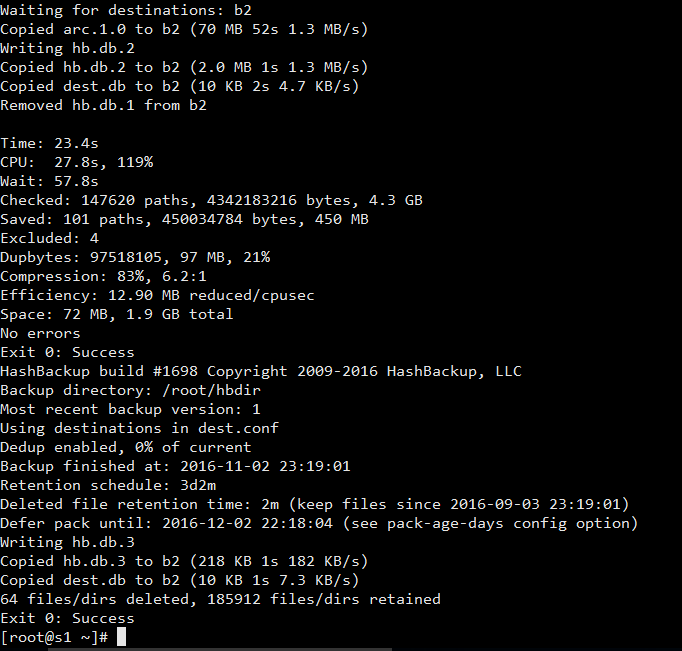 This is an easy way to backup your Linux server to B2 Backblaze! This includes VPS and Dedicated servers that run Linux. I’ve used it already to backup and restore my VPS server which was using CWP (Centos Web Panel); after restoring I only needed to update CWP to the new IP address, and rebuild my apache vhosts. Everything else such as MYSQL, passwords, files, settings, SSH settings, and software worked perfectly! We first need to create your account and get your Account ID, and Application Key. Once you have signed up, and linked your account to a debit/credit card incase you go over your limit, you’ll find your ID and Key on the Buckets page. If you haven’t already, you’ll need to add a debit or credit card for B2 Backblaze Cloud to charge if you go over your limit like Download bandwidth, or Storage space. They charge once you meet a threshold, and once a month. Be sure to add a card so your backups continue to work. Go to your Caps & Alerts page and set your limits. I’d suggest allowing yourself to download the amount your server can hold. If your server has 180GB of storage, then at least set that as the download cap so when you go to restore, it will have enough to allowed bandwidth to do what it needs. Set your Storage cap the same way if you prefer. But either way, make sure to allow your server enough to do its job properly. Copy only the “hb” file to your server in the /usr/bin folder. Be sure to make it executable! File permission 755 on the hb file. Change hbdir to whatever name folder you want to create to store the backups in locally, then send to B2 backblaze. If you don’t care, then just leave it the way it is. If the directory already exists, it must be empty or init will complain. During initialization, an inex.conf file will be created, listing files that should be excluded from the backup. You may want to review and modify this before your first backup. After running the command above, COPY THE KEY.CONF file to your computer locally and BACK IT UP! You must have this file to restore any backups in the future!! In the “inex.conf” found inside “/root/hbdir” folder, you can tell Hashbackup what files and directories to ignore when backing up. By default after running the init command, it will make the file and add this. You can add more directories or file types to ignore following the pattern above. Replace the accountid, appkey, and bucket with the details you had in Step 1a. MAKE A COPY OF DEST.CONF along with KEY.CONF from Step 2a; These are the two files you require to restore your backup from the cloud. What I like to do to make things easy, is put this into a single sh script to run with Cronjob. Makes it a lot easier and cleaner. It will store the last 3 backups, and 1 single extra backup from the last 2 months. Change the 3 and the 2 to suit your need. I prefer it this way. This will also auto-upload your backup’s to B2 Backblaze Cloud, encrypted and compressed. 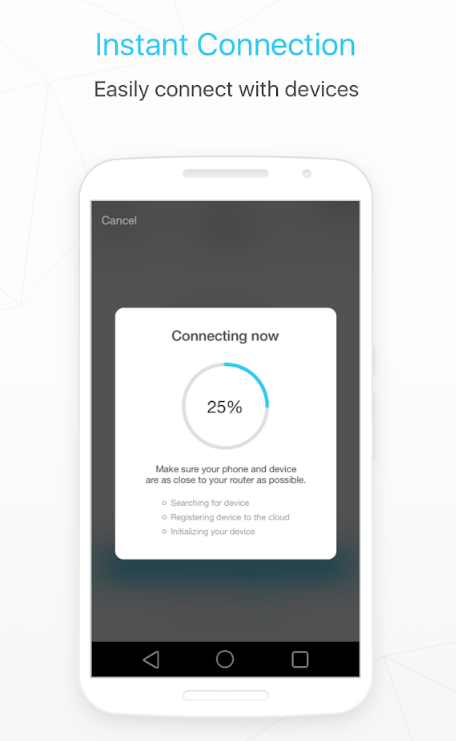 It will delete the older backups aswell to save storage. You’ve just added the cronjob to the crontab. You can do “crontab -e” to be sure it’s there. Wait 24 hours, then check your B2 Backblaze buckets on your account page, and see if you see new files and storage being taken, if so, then it’s working correctly! Cheers! Leave a comment if you had issues, or happy that I wrote this guide 🙂 Hope you found it useful! I am a webmaster and SEO Ninja expert. You can view my portfolio and contact information right below. I manage servers and deal with businesses on a daily basis. I’ve handled security attacks and restored broken sites. Creating small blogs for students and small businesses is another niche area I deal with. So hit me up with your next idea and save some money in the process!